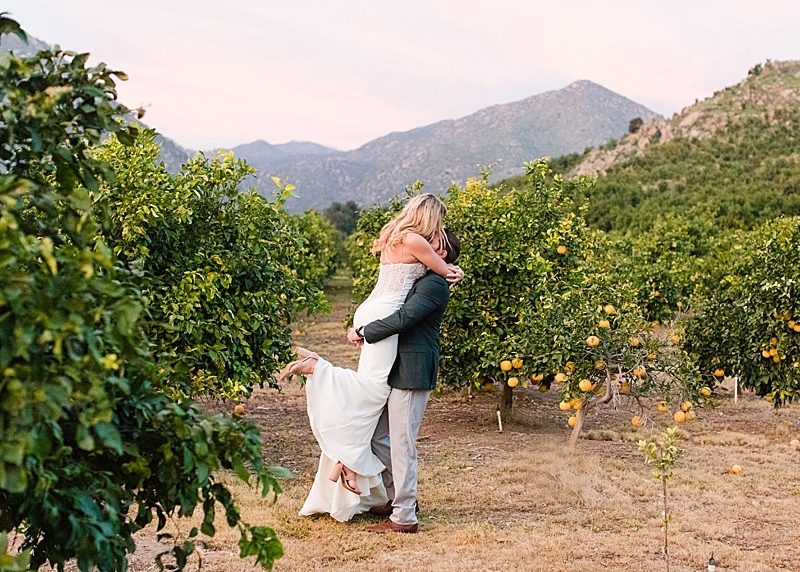 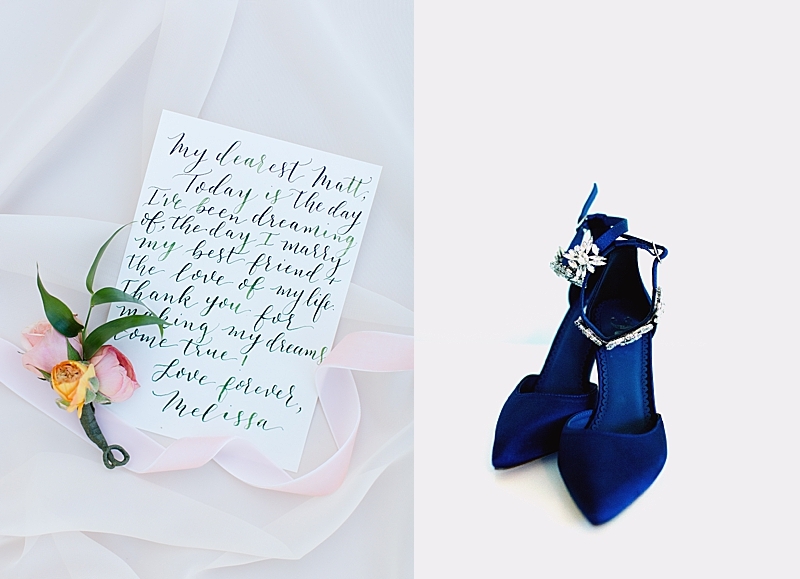 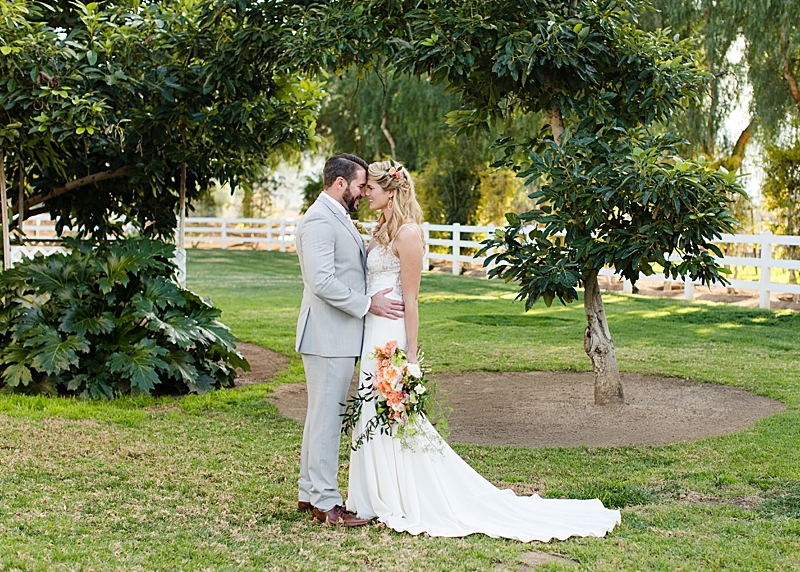 "The venue was inspiration for this shoot. 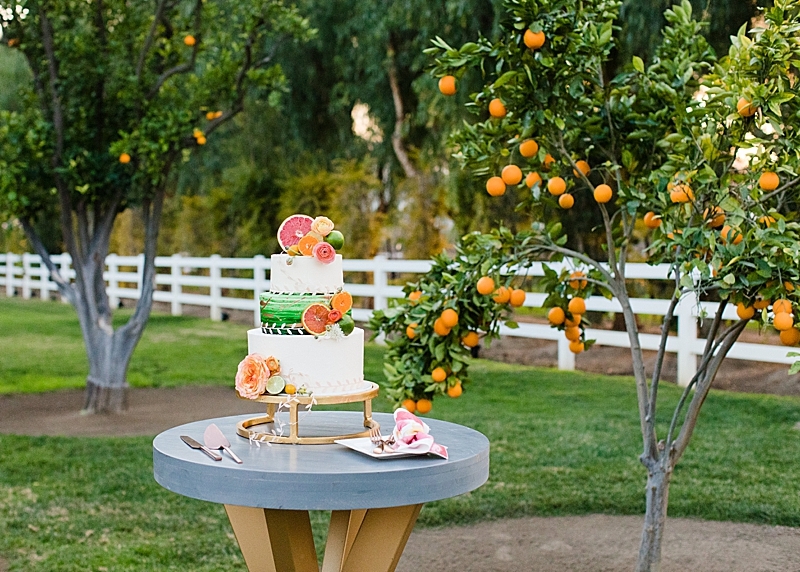 The idea was to compliment the lovely green garden citrus grove, rather than overpower it's beauty. 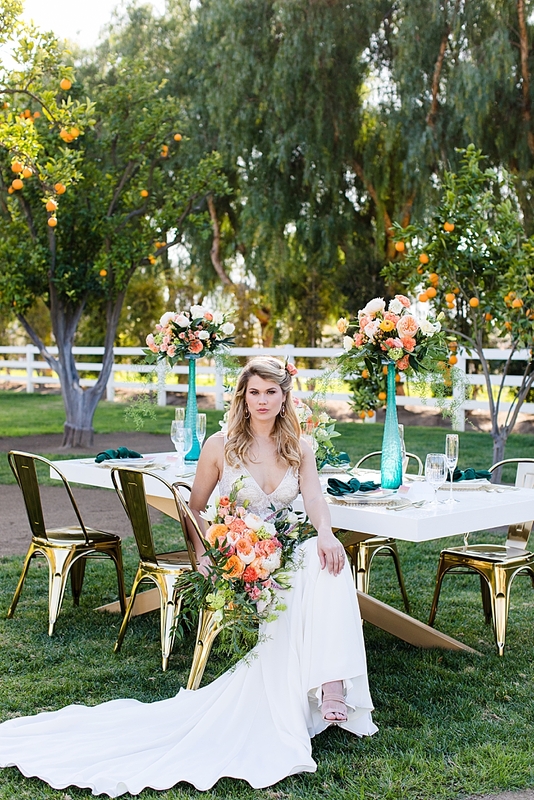 With a natural beauty, a more simple streamlined gown and modern touches throughout the decor did just that! 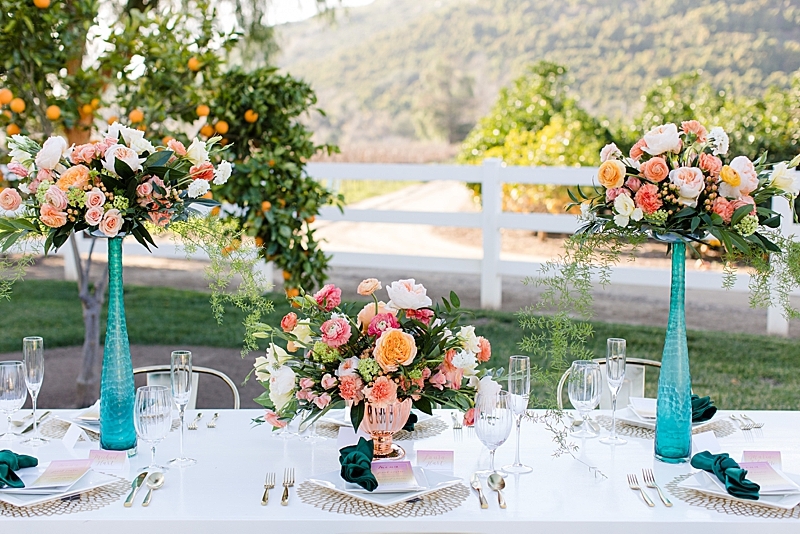 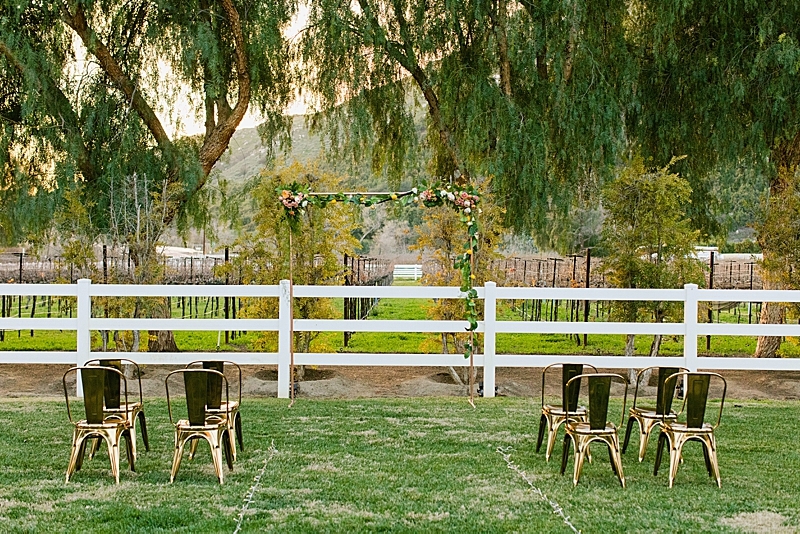 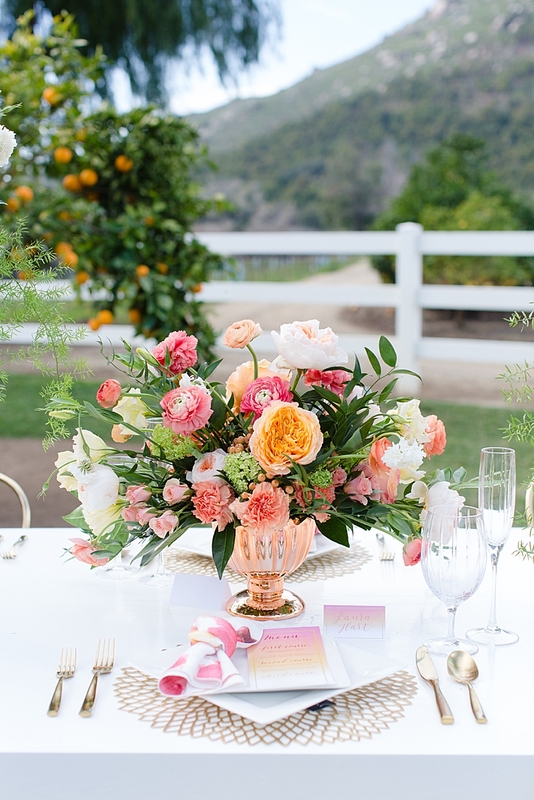 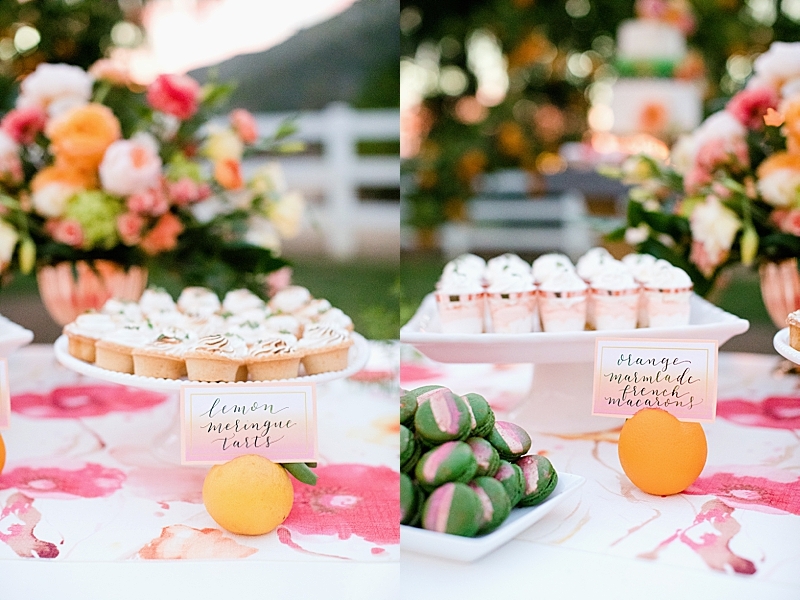 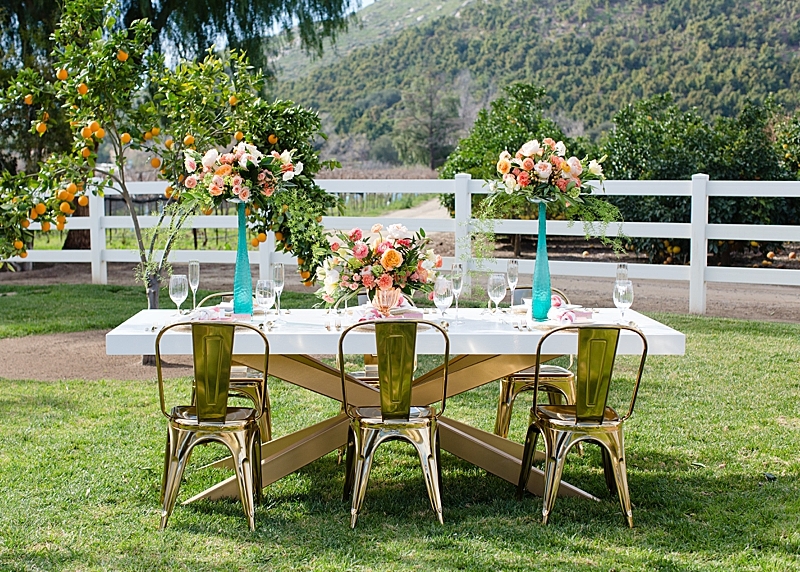 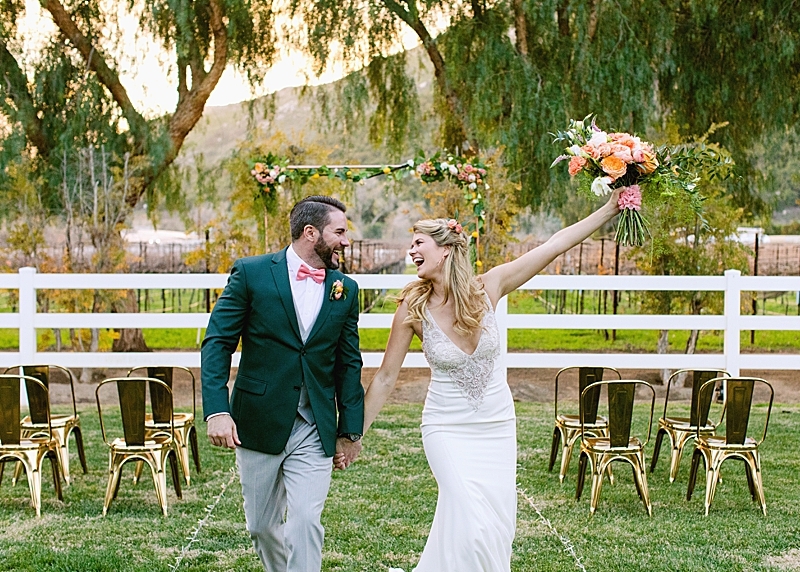 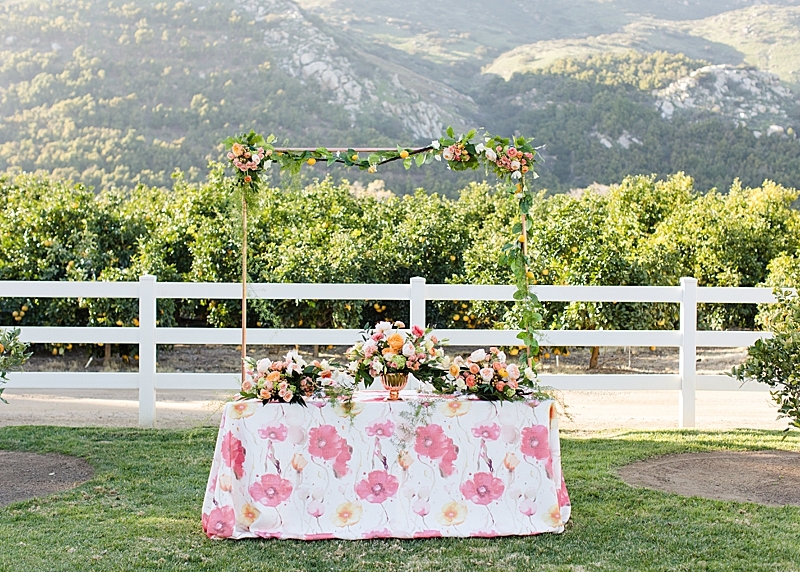 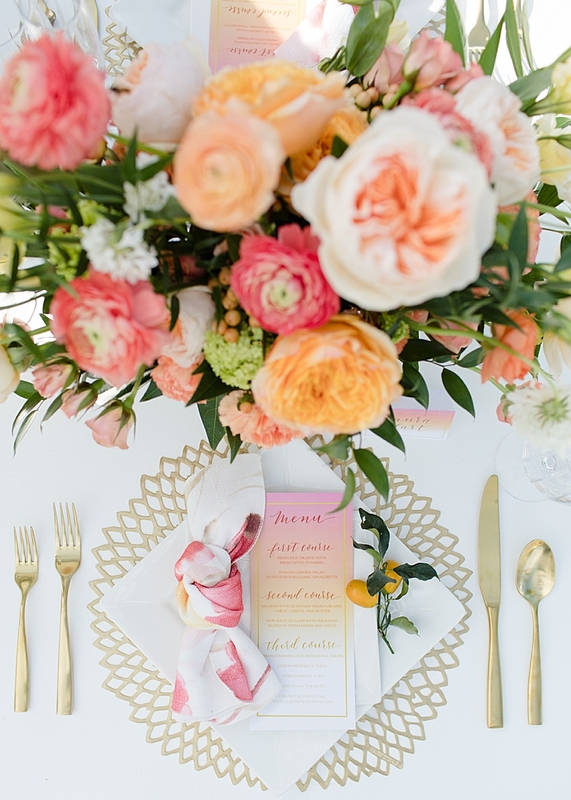 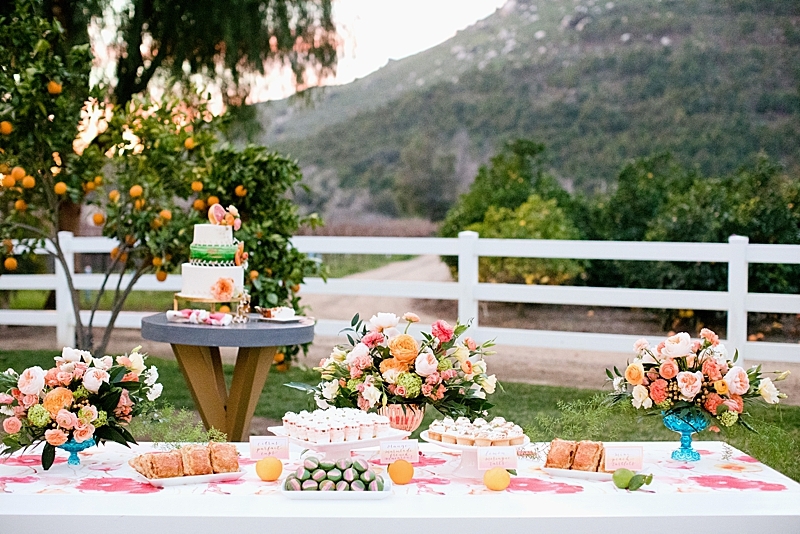 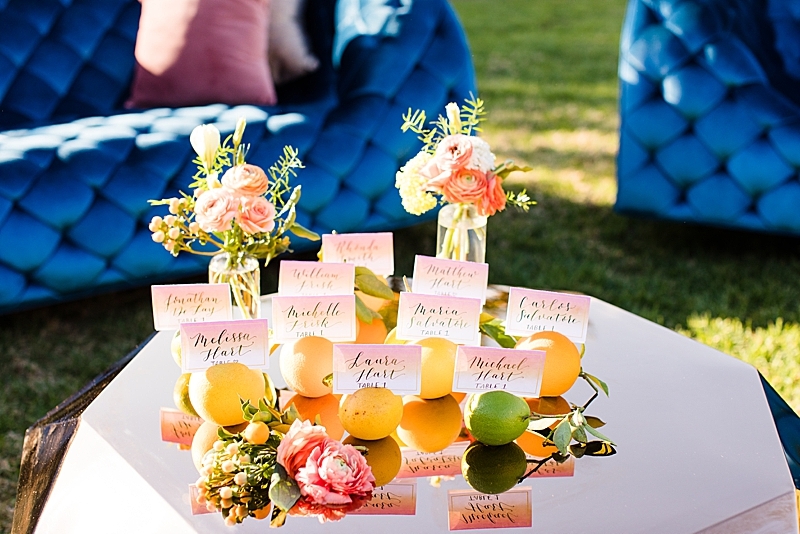 Brights and rich bold colors were desired to match the Sunny San Diego Venue. 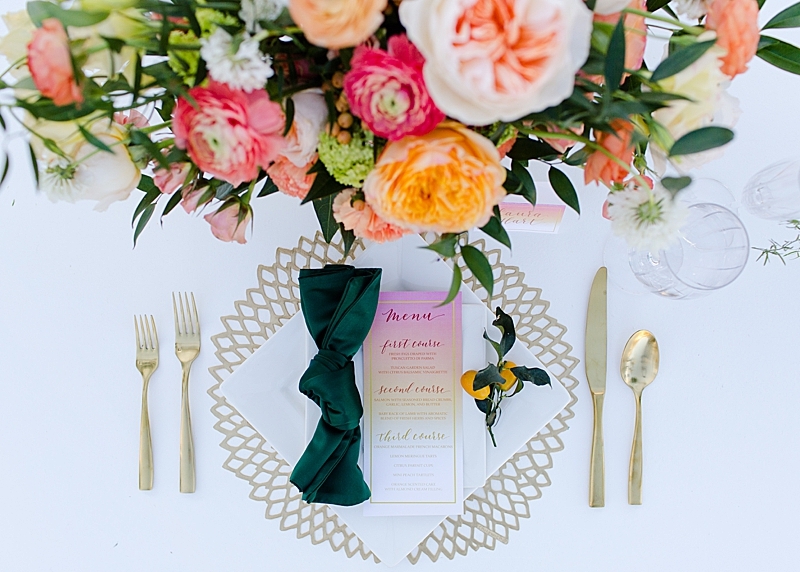 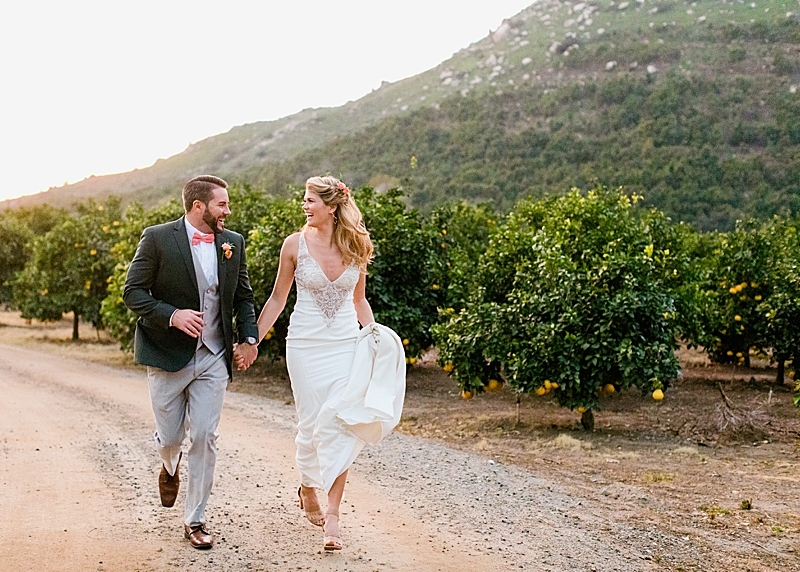 With a clean and fresh vibe, this elegant shoot is just the ticket for spring and summer inspired weddings!"